What will our 35 point checklist reveal about your brand identity standards and systems? 1. As St. James Associates says, some brands are “all symbols but no soul.” First and foremost, does your brand have a soul? 2. Is your brand’s name proprietary? Does it differentiate the brand instead of just describing its products and services? 3. Is your brand’s name suggestive of a key differentiating benefit, but not too narrow so as to decrease the brand’s ability to claim new benefits in the future? 4. Do consumers like your brand’s name? Is it memorable? 5. Do you avoid generic sub-brand names? 6. Do you have comprehensive brand identity standards and systems that address all uses of your brand’s identity elements? 7. Are those standards and systems actively in use? 8. Are they available in manuals, on CDs, and through your Intranet? 9. Are all business units and sub-brands subject to those standards, with none outside the jurisdiction of the standards? 10. At a minimum, does the system include standards for the visual identifier, color, typography, backgrounds, contrast, staging area, relative size, positioning, key applications, and unacceptable uses? 11. Is your logotype horizontally shaped? That orientation delivers the greatest visual impact and is a functional necessity when the logotype is used in retail environments. 12. Will your system work globally? The meanings of specific words, colors, and symbols in different countries are especially important to understand. 13. Does your system include distinctive shapes, colors, typestyles, and voices? 14. 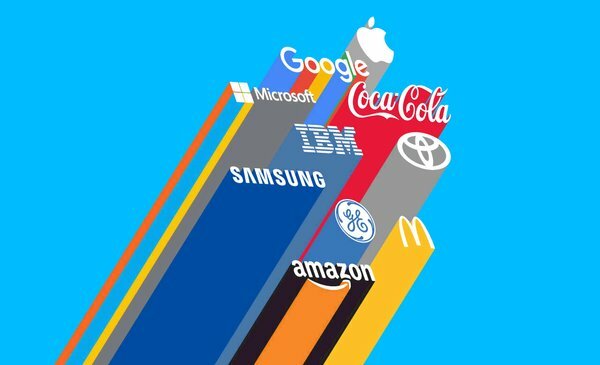 Does your brand own a color that is different from that of your major competitor? 15. Does your system include a slogan or jingle? 16. Does it include sounds and other mnemonic devices? 17. Is your system effective in multi-media environments? 18. Does it address co-branding, co-marketing, brand licensing, strategic alliance and sponsorship situations? 19. Are there simple and consistent ways in which sub-brands relate to corporate or parent brands? 20. Are there simple rules for when a brand is endorsed by a corporate or parent brand and when it is not? 21. Does everyone agree upon what names, symbols, colors, visual styles, voices, etc. are used across all applications, sub-brands and product lines on behalf of the parent brand and its identity? 22. In each point of contact with the consumer (advertising, retail environment, product packaging, etc. ), have you decided how much emphasis will be placed on the parent brand versus the sub-brand? 23. Have you decided which elements will be associated with the parent brand and which will be associated with the sub-brand? 24. Does the system deliver strong brand recall and recognition in all contexts? 25. Is the system functional for all intended uses? 26. Is the system flexible enough to address even the most complicated situations? 27. Does your system address internal applications (memos, employee newsletters and other internal publications, computer screen savers, etc.)? 28. Does the system reinforce intended brand associations? 29. Have you built at least nine random, non-functional design elements into your brand’s trade dress to make it easier for you to legally protect your brand? 30. Do you confer with intellectual property lawyers when designing new products and brands to ensure what you’ve created has maximum protection under the law? 31. Do you have an ongoing process set up to proactively protect your brand’s identity against dilution or confusion, including regular reviews of possible competitive infringements? 32. Do you have a corporate brand identity council (or another process) to manage the brand identity on an ongoing basis? 33. Do you conduct periodic communications audits to monitor adherence to corporate brand identity standards? 34. Is your brand identity system as simple as possible? 35. Ultimately, is it immediately clear which brand is the source for all points of contact you have with the consumer?